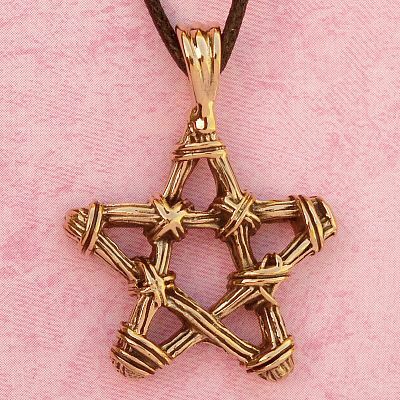 - Made to resemble a star made of woven and tied rushes, this pendant has a primitive, natural feel to it. The star is approximately 1" in diameter, and hangs from a 33" long black cord. Made of bronze. Do you have any other questions about our Bronze Rustic Star Pendant?